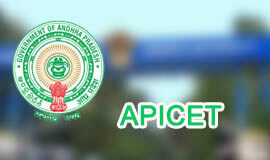 Xavier Aptitude Test (XAT) is national-level pen and paper based management aptitude test. It is conducted every year by Xavier School of Management, Xavier Labour Relations Institute (XLRI) - Jamshedpur. 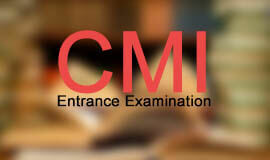 XLRI conducts the exam on behalf of Xavier Association of Management Institutes (XAMI). 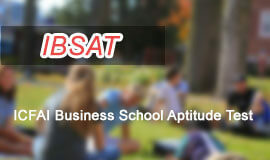 XAT scores are used by more than 100 institutes for admission to MBA, PGDM and other management courses. In the main question paper (Verbal and Logical Ability, Decision Making, Quantitative Ability and Data Interpretation sections), the total number of questions has been brought down to 78. 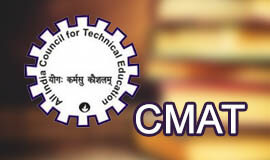 Candidates will have 170 minutes to answer the main question paper, which means the time allotted has been increased by 20 minutes. Earlier, the total time for objective part of the test was 150 minutes. In order to encourage students attempt more questions with accuracy, XAT question paper will be created in such a manner that that the top hundred students will be able to complete the test within 170 minutes. The idea behind this is to reduce the low range of scores and encourage good students to do well. Aspirants have a choice of not attempting 13 questions. Beyond this, any non-attempted question will carry a negative mark of 0.05 marks per question. There’d also be negative marking of 0.25 marks for any wrong answer. 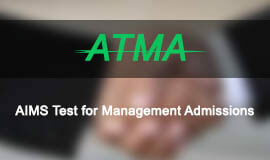 XAT exam is a pen and paper based examination. The idea behind conducting XAT in written mode is to ensure that candidates from all backgrounds are at par. It also ensures that XAT aspirants are tested on exactly the same set of questions. 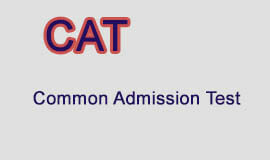 XAT exam pattern is one of the most difficult management entrance exams to crack. It is important to select the right balance of questions since the beginning of the exam. Here are some tips for XAT exam preparation. The total number of questions in the main part (VA, DI, DM) has been brought down to 78 and the time allotted has been increased by 20 minutes. The candidates would have 170 minutes to answer the questions. Students can choose have a choice of not attempting 13 questions. Beyond this, any unattempted question will carry the negative mark of 0.05. There would also be negative marking of 0.25 marks for any wrong answer. The number of questions in the GK has been reduced to twenty-five and there would be no negative marking in this section. XAT test pattern changes: 7 critical things you should know! XAT is a pen and paper-based exam. The test is famous for its high difficulty level. XAT syllabus consists of English, Quantitative Aptitude, Logical Reasoning, Data Interpretation, Decision Making, General Awareness and Essay Writing. Here are some syllabus details, based from last year’s XAT paper pattern. XAT GK section is dominated by current affairs and news, with around seven questions related to international on-going issues like Syrian crisis, Crimean referendum, Boko Haram. Essay section has no fixed subject. Essay topic could vary from general affairs to abstract subject. The idea to present your chain of thoughts on the subject in an order. The exam has roughly 90-100 questions on English, QA, LR & DI and Decision Making. The test also includes questions on General Awareness. Click here to view XAT exam preparation strategy. Final year students can also (completing final examination by June 10, 2017) can also apply. The eligibilty for XLRI programmes like Human Resource Management (HRM), Business Management (BM) is similar. Candidates with three years of work experience will be given preference in Global Business Management. 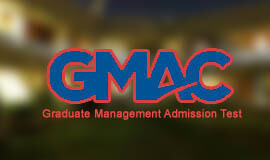 NRI and Foreign candidates may apply through GMAT scores. Registrations for XAT 2017 ended on November 30, 2016. Those who missed it, can apply till December 11, 2016 with late fee. To register for XAT, candidates need to visit the official website, click on Register and create a new account with personal email id. 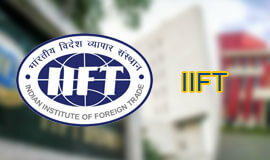 After that, candidates will receive a unique XAT ID and registration link. One needs to click on the link and create their own password for future logins. Post that, candidates will be guided through a few more steps to complete registration. 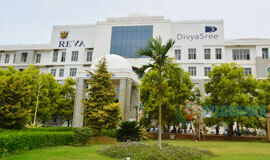 Candidates not interested in any of the XLRI programmes can skip this step,” informed the official website. Demand Draft: Issue a DD from any Bank in favour of "XLRI Jamshedpur A/c XAT" payable at Jamshedpur. The DD needs to be send at the following The Chairperson Admission, XLRI, Circuit House Area (East), Jamshedpur- 831001. The same must be sent within fifteen days from the issuance of DD.